SkyBlue Cross Alternative Health: Why “ Functional food Therapeutic Lifestyle Change Intervention program” could be the best treatment for the chronic Prostatitis? 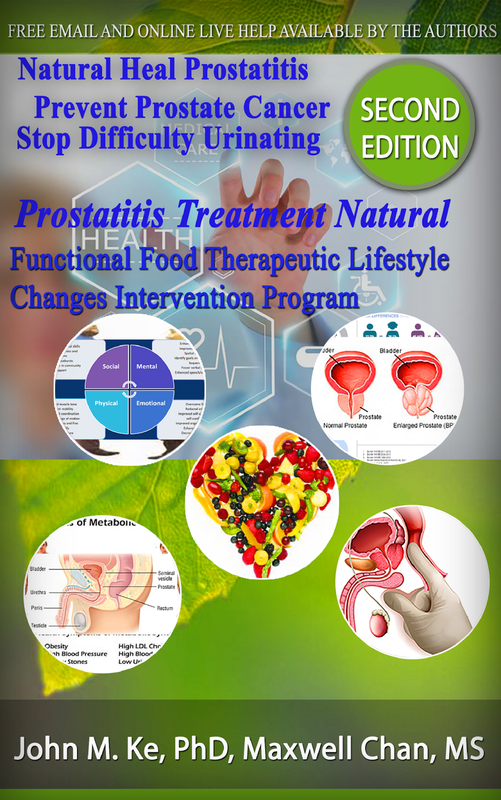 Why “ Functional food Therapeutic Lifestyle Change Intervention program” could be the best treatment for the chronic Prostatitis? B. Functional Foods do have a amazing capability at health improvement. In the last decade, preventive medicine has undergone a great advance, especially in developed countries. Research has demonstrated that nutrition plays a crucial role in the prevention of chronic diseases, as most of them can be related to diet. Functional food enters the concept of considering food not only necessary for living but also as a source of mental and physical well-being, contributing to the prevention and reduction of risk factors for several diseases or enhancing certain physiological functions. In reference to the immune system, many studies have pointed out that not only pre- and probiotics, but also single micronutrients incorporated into functional foods contribute to an enhancement of immunocompetence. In fact, one of the authorized claims consists of pointing out the immunomodulator properties of functional foods. In this article, the effect of some functional foods and ingredients such as probiotics, selenium and dietary antioxidants (vitamins A, E and C) on the immune function are reviewed. However, the optimum intake level and recommended amounts of functional foods have not yet been established. Thus, in order to remove the controversy surrounding functional food, further research studies are necessary, both in experimental animals and in humans. Finally: efforts should be directed towards the ultimate goal, that is, a 'functional diet'. "A very short list of lifestyle practices has a more massive influence on our medical destinies than anything else in all of medicine," says Dr David Katz, director of the Yale University Prevention Research Center and president of the American College of Lifestyle Medicine, in a telephone interview. "There's almost nothing in all of medicine that has the vast, consistent, and diverse evidence base." So why don't we use lifestyle factors more? D. There are many causes may lead to Prostatitis, and Kidney function is the key. Most time, prostate develops at following steps: Prostatitis, Benign prostatic hyperplasia, and then Prostate Cancer. The is no evidence found that each prostate sickness state may cause next step happen, however, all prostate sickness’ causes are the same weaken or sick kidney function.